“With integrity, transparency and candor” was how Dr. Frank Letcher, founder of Tulsa Symphony, believed the organization should operate when it was incorporated on November 15, 2005. Following 53 years of service to the community, the Tulsa Philharmonic ceased operations on September 12, 2002. At that time, Dr. Letcher was a member of the Tulsa Opera Board of Directors and was committed to finding a way to create a new orchestra. Community leaders agreed and supported the need for a professional orchestra in a city the size and stature of Tulsa. That sentiment was echoed by the Houston Chronicle in an opinion piece published during the time of Tulsa Symphony’s creation. Creating a viable blueprint for a successful symphony orchestra operational structure was at the forefront of conversations among community leaders in an effort to avoid the unfortunate structural dysfunction experienced by the Tulsa Philharmonic. The new model needed to not only succeed internally, but heal wounds of division and lack of confidence within the community. To accomplish these goals a model of Self-Governance was conceived. In this model, musicians were to be integrated into all aspects of the new Tulsa Symphony Orchestra including Artistic, Governance, Administration, Development and Education. By involving musicians in all aspects of the organization, musicians build and retain “ownership”, investment and input into all decisions and bear responsibility for all organizational operations. Dr. Letcher was a champion of this model and was the steward of its implementation in the new Tulsa Symphony Orchestra. On December 1, 2005, Tulsa Symphony would receive an endorsement from the Mayor’s Task Force on the Arts. Less than two months later, on January 27, 2006, the organization received its 501(c)(3) status and in February, TSO played its first public performance for Tulsa Ballet’s Sleeping Beauty leading to an artistic partnership that continues today. It was May 2, 2006 when Tulsa Symphony held its first performance for previous supporters of orchestral music in Tulsa at the Bernsen Center. Dr. Letcher opened the evening with a welcome speech followed by Nick Webster’s remarks. On November 3, 2006, TSO’s first full concert season began to rave reviews and Dr. Letcher served as President and CEO of Tulsa Symphony until September 2007. He passed away on December 17, 2015 at the age of 74. Frank S. Letcher, MD, FACS graduated from Yale University majoring in Russian in 1963. He finished Washington University Medical School in St. Louis and then served in the US Navy at the Naval Medical Research Institute in Bethesda, MD. After completing a residency in neurosurgery at Washington University Medical School, he practiced neurosurgery in Tulsa until retiring in Sept. 2005. Together with Professor George Tigliev he founded and operated the first private practice of neurosurgery in Russia in St. Petersburg until 2002. Dr. Letcher has loved music since he played horn at Yale. He served for 8 years on the Tulsa Opera board until 2006. During those years he was assigned the task of trying to design a solution for the 2002 dissolution of the Tulsa Philharmonic which was felt acutely by Tulsa Opera. He became convinced that the particularly negative manner of closure of the Tulsa Philharmonic had resulted in a poisoned atmosphere among the traditional patrons, audience, and musicians which effectively defeated many attempts from 2002 to 2005 to restore a fully professional orchestra to Tulsa. In order to resolve this problem Dr. Letcher conceived an entirely new model for the structuring of a new orchestra based on full sharing of the governance and fiduciary responsibility between the board and the musicians. This plan was discussed with many musicians and was presented to the Mayor’s Task Force on the Arts on Dec. 1, 2005 resulting in full approval. 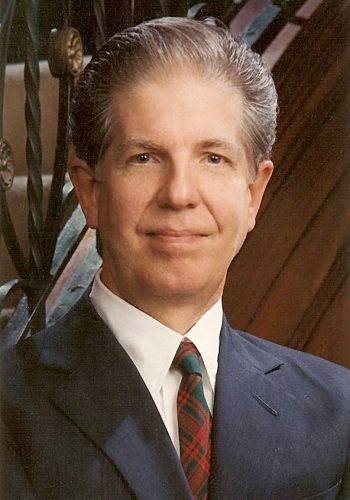 Dr. Letcher served as the President and CEO of the new Tulsa Symphony Orchestra until Sept. 2007. In August 2008, Tulsa Symphony performed at the official opening of the BOK Center. In 2011, the organization added a Chamber Music series to its season. In September 2012, the orchestra headlined the opening of Guthrie Green and began the annual popular series, Symphony in the Park. The free concert, performed as a thank you to the community, has become a treasured tradition. In September 2015, Tulsa Symphony began its 10th Anniversary season with a new Pops series, the Celebrate Campaign to secure the organization’s financial future, and expanded education offerings including a Family concert series and a cooperative national program with Carnegie Hall called Link Up. Today, Tulsa Symphony honors the vision, accomplishments, and tenacity of Dr. Letcher and celebrates ten years of growth and success accomplished with integrity, transparency and candor.